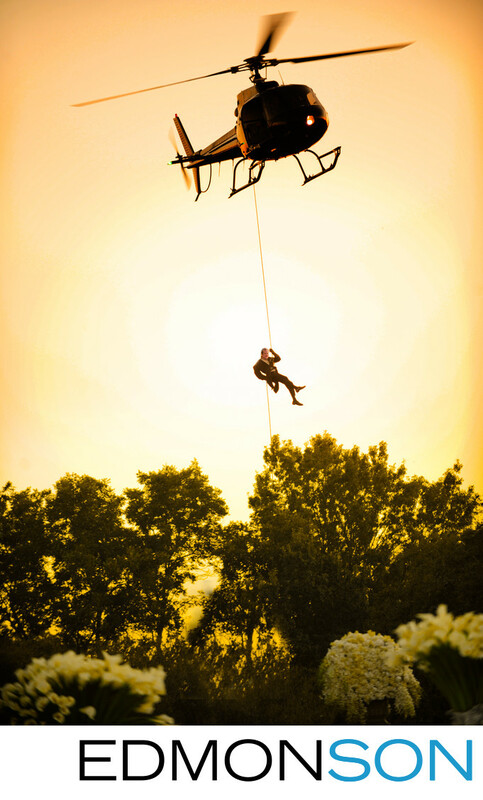 Groom makes spectacular entrance at the Dallas Arboretum by descending from a helicopter. The wedding coordination for this luxury event was provided by Mary-Frances Hurt of DFW Events. Set design by Nelson Robinson of Stageworks in Ft. Worth. 1/320; f/2.8; ISO 640; 190.0 mm.